Krishna - The Birth is the enchanting tale of the miraculous birth of Lord Vishnu in the form of baby Krishna to Vasudev and Devaki. The story is set in an era when the human race was overburdened by the demonic forces of different kings posing themselves as the royal order. 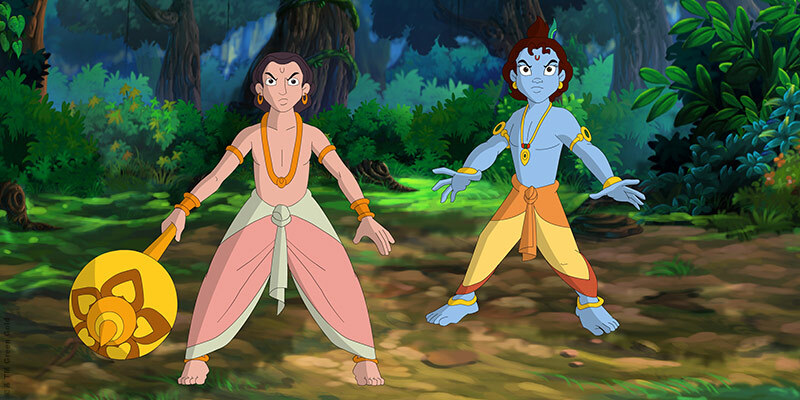 The adventures of Krishna and his friends in Vrindavan is filled with action and excitement, as they discover new forests and face new demons. All through these fun adventures Krishna and his friends are challenged by demons which are finally destroyed by Krishna and Balram. Target : 6-12 y. o.
Debuted as part of Cartoon Network Theatre on 16 August 2006. Rated as the No.1 program on Cartoon Network-India for the week of 13th to 19th August 2006 (CS 4+ yrs). Winner of the Best Animated film from FICCI's BAF AWARD 2006. Rated as No.1 program across all children'ss channels for the week of 21st to 27th January 2007 (CS 4+ yrs). Winner of Special award from Japan's TBS DigiCon 2007. Krishna - Makhan Chor shows the infant Krishna growing up in Gokul under the love and care of his foster parents, Nand-Lal and Yashoda, to become the popular, mischievous but lovable "KANHA" of Gokul. Lord Vishnu's avatar, Krishna, who is born to Devaki in Mathura and raised by Nandlaal in Gokul, travels to Vrindavan along with the entire village. He soon grows up to be a fine young man and along with his brother Balram and friends, spreads happiness and cheer in Vrindavan. Krishna's love for the beautiful Radha also grows and they revel in each other's company. Krishna's miraculous deeds soon reach the court of Kansa. He soon devises a sinister plan to finish Krishna and invites him to Mathura. Krishna and Balram accept the invitation and travel to Mathura. After entering Kansa's arena they kill Chanur and Mustik, the wrestlers, and eventually kill the evil Kansa himself. 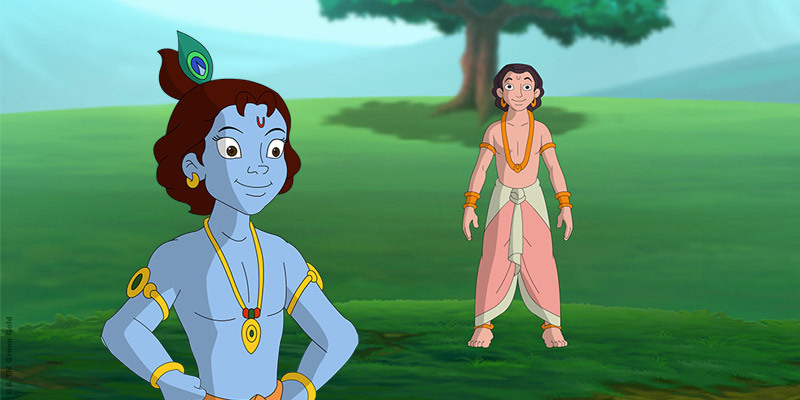 Krishna then meets his imprisoned parents Devaki and Vasudev and releases them. He also frees his grandfather Ugrasen and crowns him the King of Mathura. Don't miss this volume of Krishna's miraculous story in Mathura.